Do you often move files between your Android device and your computer? If you’ve had a tough time of it, then you should give AirDroid a try. This Android app lets you manage your files, documents, and more pretty effortlessly. I say this because, there’s no additional third party software to be installed on your computer. A pretty decent WiFi connection and AirDroid will help you get things done effortlessly. 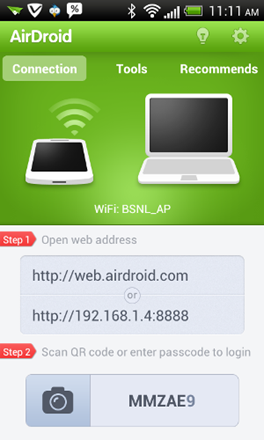 Let’s take a look at how you can set up AirDroid to wirelessly transfer files to your PC from Android smartphones. 1. 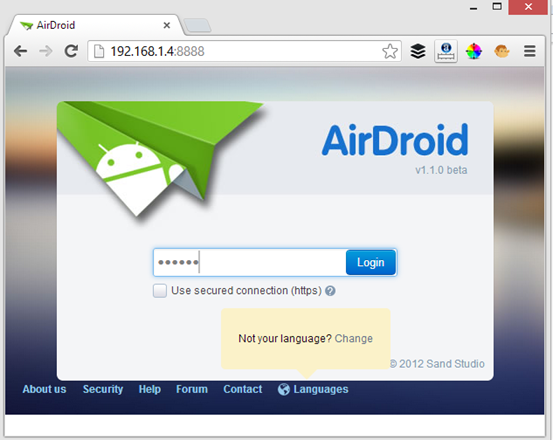 Download and install AirDroid on your Android device and launch it. 2. On the first screen, click Start. 3. The next screen will display a couple of web addresses along with a security code. On your computer, open up a web browser and navigate to the address you chose in the previous step. You will see a QR code or a text box to input the security code. Go ahead and input the code and connect your device. 4. A dashboard is displayed with options to manage your files and other stuff. To transfer files, on the dashboard, click Files. 5. A file manager opens up showing you all the files on your smartphone, including the ones on your SD card. To transfer a file to the computer, just select the file and click Download. If you wish to download multiple files, just select all of the files, right click and choose Download as ZIP. 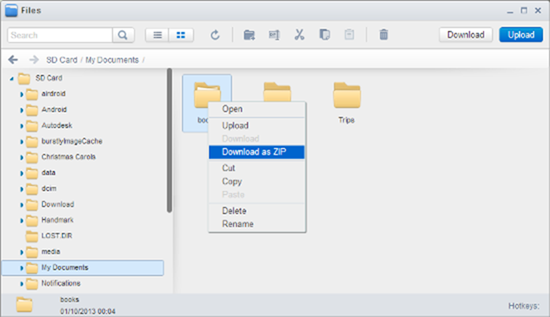 To transfer files from your computer to your Android device, click the Upload button and select the files for upload. AirDroid is not just an alternative option for transferring files and stuff wirelessly. It also lets you send and receive SMSs, move files between multiple virtual machines, organize contacts, manage ringtones and more. I particularly enjoyed moving music and video files from my computer, as the transfer process was super quick, in fact, even better than Dropbox. 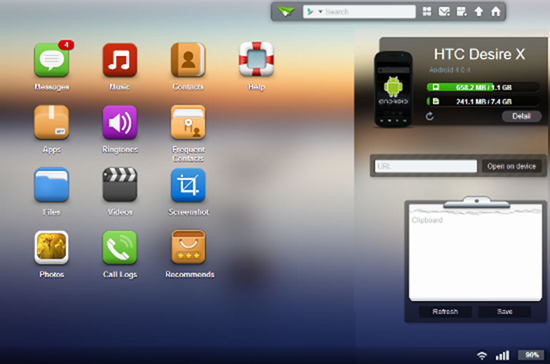 AirDroid for Android is free and is compatible with devices running 2.1 or later. One point to note is that the computer and the Android device should be on the same WiFi network for it to connect and function as it should. Give AirDroid a try and tell us if you could connect your Android device to your computer wirelessly in a convenient manner.